An oasis in the middle of the Atlantic Ocean, the Bahamas is a playground like no other. With crystal-clear waters, sandy bays and the most enticing freshly-grilled seafood, you’re bound to fall in love with this destination. Attractions include Castaway Cay (Sandy Point), Pink Sands Beach (Harbour Island) and Marine Habitat At Atlantis on Paradise Island. Cheap flights to the Bahamas are now available for a limited period of time! The Bahamas’s capital city, Nassau, is home to Lynden Pindling International Airport (NAS), located on a 20-minute drive from the city centre. Glide your way through crystal clear waters as you partake in snorkelling and diving off the coasts of the Bahamas and enjoy the sights of the magical world below. The Bahamas is known for its beautiful white sands and sparkling clear waters that are perfect for strolls, sun bathing and sipping on something cold, before taking a dip in the ocean. Fresh from the ocean and cooked in fresh herbs and rich white sauces, or grilled over open fires with the ocean as your backdrop, you’re bound to eat more than your fill of the endless seafood supply. Summers (June to August) see hot temperatures and plenty of rain, but this never stops the beaches from filling up with visitors. Hurricane season is from July to October, though in most cases the Bahamas sees more than 300 days of sunshine a year. Not all of the tourist islands stay open and operational during this time though, so please check ahead of time. Winter in this tropical paradise falls between November and February, and offers up wonderfully warm days that are great for the beaches and sightseeing. Long, sultry summer days that are spent lazing around on picture-perfect beaches, and nights spent dancing to Caribbean sounds and mingling with some fun-loving locals are what the Bahamas are all about. Nassau, the capital city has some stunning beaches such as Paradise Beach and the equally popular, Cable Beach. This perfect holiday destination is home to an archipelago of more than 700 islands and dozens, if not hundreds, of wonderful beaches. Be sure to leave your stress behind as you enjoy the sights and sounds of the Bahamas. Many of the islands will take your breath away, and are accessible by boat. Top islands to visit during your stay are Eleuthera, Long Island, Abaco and of course, Paradise Island. The city of Nassau has some great attractions that can have you exploring the city for hours and indulging in a bit of history and culture awareness. Museums to visit include the Junkanoo Art and Cultural Museums and The Heritage Museum of the Bahamas. Explore some beautiful gardens too, such as those found at The Cloisters Nassau. When you’re done exploring, head back to the ocean for some wetsuit activities in the clear waters. 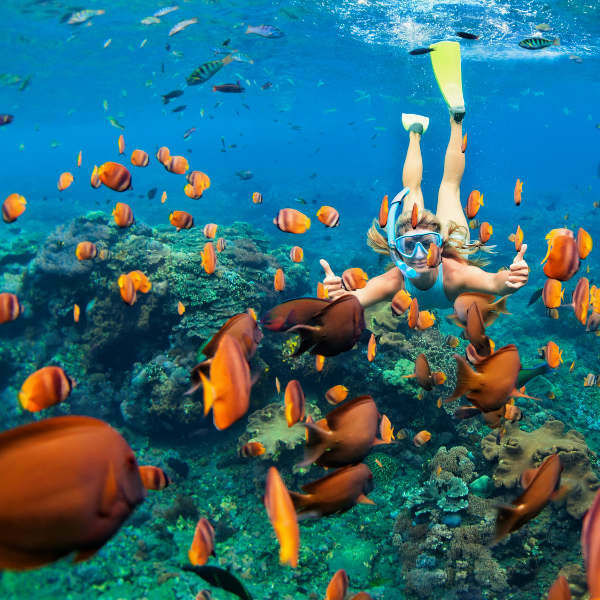 Do some scuba diving, waterskiing, snorkeling and even fishing! 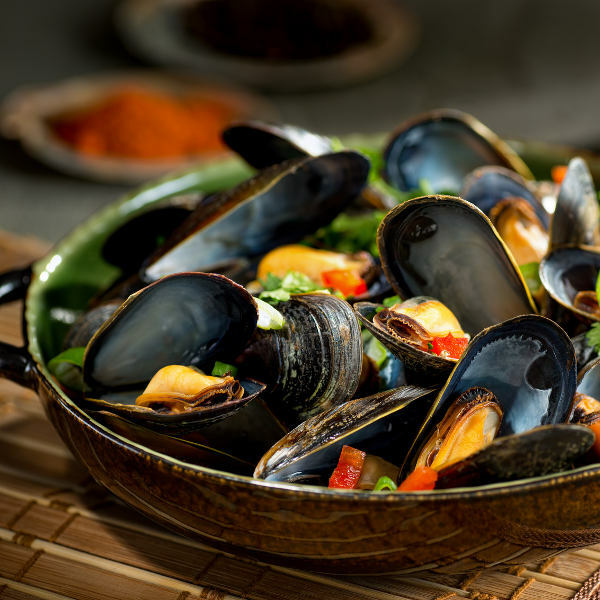 And to top it all, enjoy the tastiest, freshest seafood that you could ever find! Compare several airlines, and book your cheap flights to the Bahamas online at Travelstart! 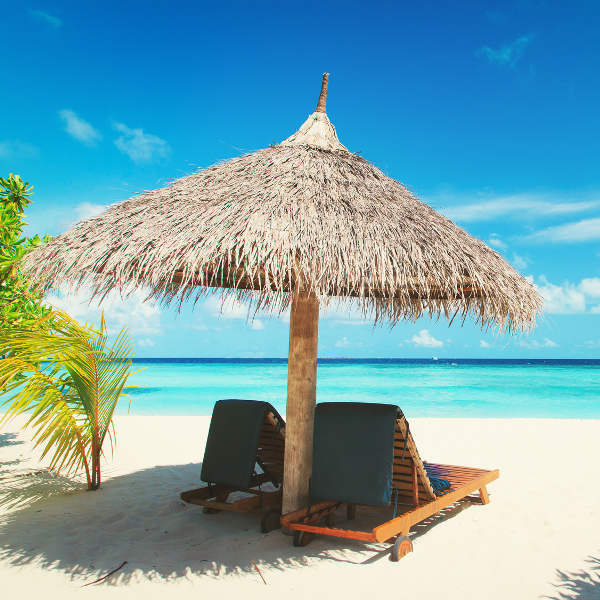 The Bahamas are quite safe and you will have a wonderful time in this paradise location as long as you practise some caution and obey a few guidelines. These include not walking around alone after dark, keeping your valuables in your hotel safe and not walking around with large sums of cash. It is always important to have your vaccines up to date when you are travelling. When visiting the Bahamas, it is recommended to get a vaccination for hepatitis A, as you will most likely be eating food that is unfamiliar. You should also get a shot for typhoid if you’ll be doing any trips to smaller, more rural areas of the country. Other vaccines that are recommended are for hepatitis B, yellow fever, malaria and rabies. Currently, there has been an outbreak of Zika in the Bahamas and pregnant women are advised against travel there. Zika is spread via mosquito bites and unprotected sexual encounters.